Thank you for your continued support for the Seminary and Women’s School at Mulungwishi. We are so grateful for the way the Lord has continued to use you in the training of the Lord’s servants in the Southern part of Congo. The Church in Congo and Zambia suffered a great loss the day after Christmas. John Enright was killed in a car accident. His parents were contemporary missionaries with our parents and we grew up together. 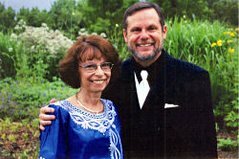 John served as a missionary with the GBGM in Botswana, Congo and Zambia. Kendra, his wife, survived the crash and is now recovering slowly. John’s love for the African people consumed him and he was the driving force behind the Kafakumba Pastor’s School. He used agriculture to help fund the mission work he was involved in. His wife and two sons and their families live on the farm in Zambia. Please keep his family in prayer. John will be deeply missed. He was so much a vital part of our lives. We would like to share a little about the new leadership at the Seminary. 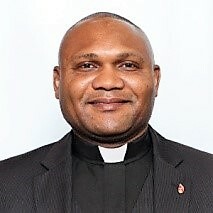 Dr. Sul A Nawej is the new Dean of the Seminary. He is a product of Mulungwishi having done both his Bachelor’s and Master’s degrees at the Seminary. His wife, Kasongo, is a real joy and they have 7 children. Sul is an excellent pastor and served the largest church in the Annual Conference. While he was there, he and Kasongo, had a beautiful ministry with young couples. 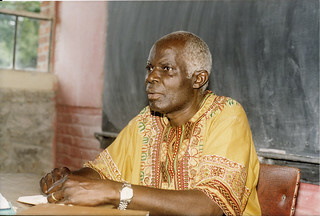 He then went on to do his Doctorate in Brussels and Kinshasa specializing in Wesley studies. During his studies in Belgium, Sul also pastored a church. 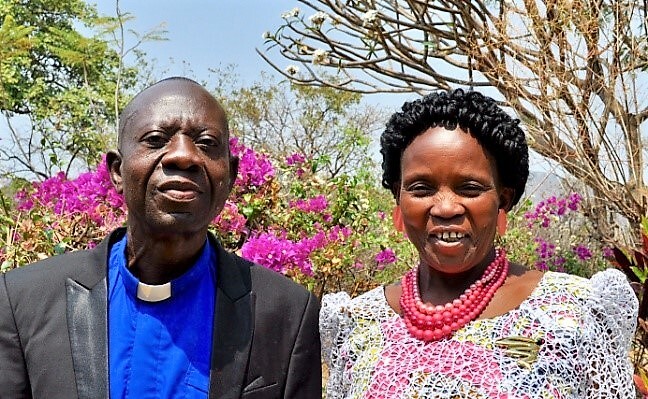 After completing his doctorate, Sul was appointed to Mulungwishi as the chaplain of the University, pastor of the mission station and professor at the Seminary. We are so pleased with his appointment as Dean and will be, with Kasongo, a strong mentor for our students at the Seminary and Women’s School. The Seminary and Women’s School are in full stride for the year. New students for both the Bachelor’s and Master’s level arrived in September and classes started in October. By this time, those in the Master’s degree who will graduate this year are working hard on their thesis and getting ready to defend them. Often the subjects deal with contextual issues that they have encountered in the ministry. Some of the subjects such as funeral and initiation rites. While you pray for them and their education, pray that the Holy Spirit will also be working in their hearts and lives. This last week, we were so proud of Rev. 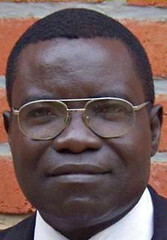 Nelson Kalombo. You remember him from a previous letter. He is a graduated from the Mulungwishi Seminary and is currently serving a church in New York. Nelson successfully defended his PhD thesis. David was one of the readers for the thesis and took part in the defense over the internet. His subject was most interesting dealing with the “Prosperity Gospel” in Congo. He sees it as being “a means for the leaders to rob the poor.” Nelson also sees that there is a lot of syncretism with traditional African belief. The spiritual leaders parallel the witch doctors manipulating things in their world. Head Nurse Kalumba now a doctor! Another source of joy and pride is Alfred Kabamba. He was our head nurse and with help from many in the States he has just completed 7 years of medical school in Burundi. He is now Dr. Alfred. Because of the tribal tensions against Congolese in Burundi he had to leave his family at Mulungwishi. He came back on vacations to be with the family. Some hundred students started and only 30 completed the course. This is amazing since he had to do it in English. Alfred also endured many harrowing experiences in his travels through conflict areas in Rwanda and Burundi. We are so pleased and thankful to the Lord to have Dr. Alfred back at the dispensary at Mulungwishi! We were unable to go back to Congo last year because of David’s sciatica problem. He is much improved and we plan -- the Lord willing -- to return this year. We still feel strongly that the Seminary and Women’s School are vital to the continued growth of God’s Kingdom in Africa. So we encourage you to continue your support, love and prayers for these young men and women preparing for the ministry. As you are in prayer, remember the country of Congo which is going through a very difficult period. Our church is called to bring the love of God in these very trying times. Again, we want to thank you for your support during the past year. We express our thanks to you for your faithfulness. Thank you for the continued support for the Seminary and Women’s School at Mulungwishi and for supporting our return tips to Africa. How many times, through the years, we have said how thankful and blessed we are to have had you with us in this partnership with Congo and the Seminary! The Lord is so faithful and we have been blessed together! We had been planning to already be in Mulungwishi in April. However, we have been through some medical problems and are still on the U.S. side of the ocean waiting for medical clearance to return. Always your gifts translate into lives of pastors and their ministries. We would like to share about Pastor Makobo Young and his wife Beatrice. They graduated a number of years ago. On their first assignment, they arrived with their 5 children in a large village. To their surprise, their church was a parcel of land and they were to build a church and parsonage! As people gathered to see who they were and greet them, a Catholic business man offered a place to live rent free. A real gift of love. There had been a small church group meeting in the open air. The couple began visiting through the village, connecting with the parish and ministering to people’s needs. Together, the small congregation made plans and started to make bricks and save for cement and roofing. It made quite an impression on the people as Beatrice helped with carrying mud and bricks. She also started teaching the women. After 5 years, because of their courage and effort, there was a church building and parsonage and a growing church of over 200. The Bishop then made Makobo a District Superintendent. Again, he was influential in growing the churches in his district. In 2014, Makobo and Beatrice were sent back to Mulungwishi for the Masters studies. He was the top student in the class and graduated in 2016. His new designation is to help in administration and teach at the Methodist Seminary at Kabongo in the North Katanga Episcopal Area. They have been a blessing within our Seminary community and go out again faithful to their calling. Grads are a blessing even in U.S. It has also been a blessing to see what our graduates do when they come to the USA. Nelson Kalombo, one of our graduates is now pastoring and working on his PhD on Long Island. In Congo, Methodist Churches hold revivals over the Christmas and Easter seasons. It has been an effective tool for bringing people to Christ and church growth. Over Christmas, Nelson phoned us to say that he decided to have an Advent Revival for evangelizing, the way he had learned at Mulungwishi. The result was 60 new people joined his church this Christmas. Praise the Lord, He is faithful! This past March, our University President, Dr. Kasap Owan Tshibang, was elected Bishop for the South Congo and Zambia Episcopal Area. He is replacing retiring Bishop Katembo Kainda, who served faithfully for 36 years. Both Bishops are Mulungwishi graduates. 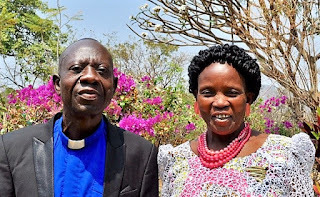 Join us in praying for continued blessing on Bishop Katembo and Mama Kashala as they transition into retirement and pray for strength, patience and wisdom for Bishop Kasap as he begins his new ministry. We encourage your continued support of the Seminary and Women’s School through the Advance Special (Mulungwishi Theological Seminary #05773A & Mulungwishi Women’s School #08112A). These advance Specials continue the programs under the Congolese leadership. Your gifts and prayers not only count for the present education for these pastors but continues on with their ministries. At the same time, we would like to introduce a group of friends from Atlanta called “Friends of KMU” (Katanga Methodist University at Mulungwishi). They are joining us to help to continue raising funds for the Seminary and Women’s School as well as the University. We appreciate them so much for coming along side, now that we are retired. We want you to be aware that they will be contacting you. It is a privilege to share with you what our Lord Jesus Christ is doing in the life of our partnership at Mulungwishi. We are thankful for how the graduates of Mulungwishi have remained faithful to their calling and how the Lord is using them wherever they are! We appreciate your donations – they help with flight tickets, visas, and extra medical insurance for our UMVIM trip. You can donate online by using an American Express, MasterCard, VISA, or Discover credit card or you can mail a check. IMPORTANT: If you donate online using the above link, make sure to choose "Persons, David and Lorene" from the drop-down pick list. That web page also lets you associated a church or conference with your donation. We are back in the States after being in Congo since June. As you know we were to leave in April but Lori's surgery delayed us until June. We want to thank you for supporting us in prayer and financially during this time of ministry. We also want to thank you for your continued support of the Seminary and Women's School at Mulungwishi. Your partnership in training pastors for the fastest growing part of the United Methodist Church is of key importance. It was good to get back to our home and our community at Mulungwishi. There were some new faces and lots of babies! The leadership team has continue to direct the University, Seminary and Women's School. We dived into our courses with David teaching Contextualization, Inductive Bible Study, Leadership and Church Growth. Lori taught Nutrition, John Wesley and lots of sewing at the Women School. At the end of July, 18 couples graduated from the Seminary and Women School. It is always fun to celebrate graduations! One of the graduates is George Kahilu and his wife, Tchijika Kaluma (Marni). We asked the question: "What did the 3 years at Mulungwishi mean to you?" Without hesitation, he said that he had a new life because of coming here. He had continued to grow in Christ through a good theological education and working with our local church in prayer groups, Bible studies and being the evangelist for the church. Marni attended the Women's School for the three years. She felt she developed so much through her classes in Bible, Health, Nutrition, French, etc. and practical courses in cooking and sewing. George shared that her new understanding of budgeting helped them save for a sewing machine. She can sew for her family and others to help augment the family finances. challenged seeing the church that was being built by the members themselves. George also sees the need to be passionate about the care of his flock. Marni, of course, sees herself as passing on what she has learned to other women in the neighborhood. Lori always works with the nutrition program which helps women and children in the communities around Mulungwishi. At risk children are followed and helped with nutrition and medically for as long as it takes to get them healthy. We have a team that visits families and teach health and better nutrition as well as carry on weekly evaluations of the children. Our time at Mulungwishi was not limited to the Seminary and Women's School. The month of August was spent with the Kafakumba Pastors' School. This is a month long training program for lay pastors and over an 8 year period leads to ordination. There were some 90 pastors and 18 wives. Loi was involved in teaching the women and organizing the Kitchen. David taught 3 classes. We had some challenges with the electricity and water. The high intensity cables in some areas were stolen which left us without power for long periods of time and no water pump. So it was back to cooking on charcoal and carrying buckets of water!!! This has always impressed upon us that so many in our world have no electricity or a clean water supply available. During our last weeks at Mulungwishi, we started our classes for next year. It was difficult to separate from those pastors and their families who were leaving for their designations. They were like our children leaving but we rejoice that they are going to serve the Lord. Many of you have participated before in UMC#GivingTuesday for the Seminary and Women's School. It will take place again this year on November 29th. Donations can be made through the link www.umcmission.org/give. Again, we want to thank you for making it possible for us to participate in this ministry and for supporting the training of God's shepherds. You may have noticed that the ClustrMap that shows location dots for visitors to this blog has changed. That map is in the right sidebar column. Unfortunately, a main server for ClustrMaps was damaged and went our of service. A new one is in place and working, but meanwhile, the maps changed from showing lifetime or date range visits to showing this month's visits. If you click on the map image, you can choose to view the last month's visits. Many users have requested that the map shows the past year's visits and that feature is being worked on but not yet available. We may have to re-register for the service as well as renew the subscription for ClustrMaps Plus. Check back in a week or two and you may see an improved ClustrMap. Patience is a virtue, we've heard. We want to thank you for your continued and loving support since we retired. As you know we have been returning for 6 months a year to Africa as Volunteers in Mission. We arrived in Zambia on April --. It was wonderful being met by our Nkonde, our driver through the borders, and our faithful 1998 Toyota pickup. While in Zambia, we were able to obtain our work permit which we had been working on for several months. This now gives us the freedom to work and come and go in Zambia as we need. The return to Congo was for only two weeks. Rev. Derrell Patterson and Dr. Jimmy Nunn came from the NW Texas Annual Conference in order to launch the strategic plan for the Seminary and University at Mulungwishi. This is a process that will take a number of months. They will have a return visit in August. We returned to Zambia for the remainder of May and into the first week of June to teach at the Kafakumba Pastors’ School like we did last year. This is similar to our Conference Course of Study with lay pastors coming in for 4 weeks a year over an 8 year period towards ordination. There were some 70 pastors from Zambia and Tanzania. The class discussions were very stimulating in that the students were dealing with real issues that pertained to their ministries. Felix is a first year student. He worked in the tourism industry as a chef and finally as head of food and beverage service at a hotel at Victoria Falls. The Lord has done a real work in his life and he has now moved to northern Zambia where he is being discipled by Dimon, a former student of Kafakumba. Dimon is the senior pastor of the Solwezi United Methodist Church. Solwezi is experiencing tremendous growth as a town because of new mines being opened in the area. Dimon and Felix are taking every advantage to proclaim the love of Jesus Christ in this developing community. Dimon was also at Kafakumba this year as a teacher and interpreter. It is exciting to see those who you have trained now training and mentoring others. Mulungwishi is our base for the rest of the time. We will continue with the courses that we started last September and October at the Seminary and Women’s School. Lori is also continuing with the nutrition program at the dispensary. This year, Mulungwishi will host Annual Conference the 19th through the 22nd of July. Graduation for the Seminary and University will be on the 25th of July. Dr. Deb Shepherd will be joining the staff for three months (mid-June through mid-September) to help with the development of the strategic plan. August will have Mulungwishi hosting the Kafakumba Pastors’ School for the month. These will be the Congolese pastors at this session. We estimate some 120 students. Again we will be teaching the pastors and their wives like last year. August will also bring a work team from the New Mexico and NW Texas Annual Conferences to help at the dispensary. The team will include doctors, lab technicians and builders to help us the construction of the new surgery center. We are so grateful for this long standing partnership with these Annual Conferences and churches. We will be returning to the States at the end of August in order to celebrate our daughter Amber’s wedding to Travis Geer in September. We are looking forward to that event. Again, we want to thank you for your continued and loving support for us and the Seminary. The big project that Mulungwishi is working on during this time that we will be there is to develop a strategic plan for the University and Seminary. We hope to provide the structure with which the University and Seminary can craft a plan for the direction and objectives they would like to attain in the next few years. The important thing is that this will be a Congolese plan and their ideas of what they want to achieve. As always, your prayers for success at Mulungwishi are welcomed.